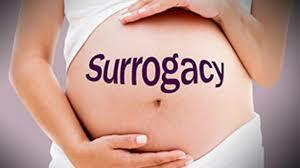 The Government of India has decided to pass a law which bans commercial surrogacy. I think it's good that surrogacy is being regulated , because it is often misused and overused. A few unscrupulous clinics were doing too much surrogacy when it wasn't called for, simply in order to make more money, and this needed to be controlled. When this abuse was highlighted by media reports, the politicians resorted by adopting their standard knee-jerk reflex response , and decided to ban commercial surrogacy completely. At first blush, this seems like a sensible solution , because it is intended to protect poor women who could otherwise be exploited to serve as surrogates. However, it's a poorly drafted law for multiple reasons. For one, it paints all IVF doctors as being crooked , which is extremely unfair. They could easily have had a consultation with ethical, upright IVF doctors who have been doing surrogacy properly for many years, and asked them to provide constructive solutions which would help to protect all the parties involved. There was really no need to ban it when it could easily be regulated properly. This would have been a far more enlightened approach, and is what one expects in a democracy. Instead, they have chosen to fast-track the bill and ram it down everyone's throat, without considering the opinions of IVF specialists; infertile couples; and the surrogate mothers themselves. Unfortunately, politicians don't have a good opinion of doctors, and think of all of them as being crooks. This has been made much worse by newspaper reports which highlight the problems which some bad IVF doctors create, without highlighting the good work which IVF clinics have been doing by helping couples to build their family through surrogacy . Where was the need to pass this bill in such a hurry ? Even worse, they have not bothered to take into account the expert opinions and views of activists and IVF doctors about how surrogacy can be regulated , even though the ICMR has been collecting this data through public forums and debates when drafting the ART bill . The ART bill was supposed to regulate IVF clinics , and would also automatically police surrogacy treatment, but this has been lying in limbo for over 10 years. If there was a need to regulate surrogacy, then why wasn't this bill tabled - it's much more thoughtful and balanced in its approach. Why couldn't these suggestions have been incorporated in this new surrogacy bill rather than just calling for a ban ? Effectively, this throws out the baby ( pardon the pun) with the bath water . Let's not forget that this law is also unfair on the women who want to be surrogates. It seems to be the opinion of these lawmakers that poor women are idiots who cannot take care of themselves . They believe that they get exploited by rich, infertile couples who are in cahoots with crooked doctors, and the only way to protect them is to stop surrogacy altogether. However, what this means is that they have effectively taken away the right of a woman to become a surrogate , just because she is poor. This is unfair, and lots of their surrogate mothers have earned enough money so that they can give their own children better housing and schooling. When surrogacy is done ethically, it creates a win-win for everyone involved. By banning commercial surrogacy , the govt is effectively telling infertile couples that they can't do surrogacy anymore , because the number of relatives and family members who will be willing to do altruistic surrogacy is going to be extremely small. Even worse, the government is encouraging the creation of an underground black market where touts will "create" relatives" who volunteer to become surrogates. This will result in far more exploitation than exists today. In the long run, the sufferers are going to be those unfortunate infertile patients who don't have a uterus , or whose uterus has been damaged because of tuberculosis, and whose only medical treatment option was surrogacy. It's all well and good to say they can always adopt, but surrogacy is an ethical form of treatment, and it's not fair to deprive them of this option if they prefer this alternative . Surrogacy is an expensive treatment, and only parents who are very sure they want a baby will take the time and trouble to resort to this, which means the children born as a result of surrogacy are likely to be deeply loved and well looked after ! For this small group of infertile women , this option has been snatched away, perhaps because of some preconceived notions which certain lawmakers have as regards what is considered to be acceptable , and what is not. I don't think it's fair to thrust your views down the throats of an unsuspecting majority by presenting them with a fait accompli , just because you happen to have a majority. This is what I'm disappointed about , because this is not the way laws should be made in a progressive democratic society. We should have had a lot more debate and a lot more inputs from infertile couples, IVF doctors as well as the women who have chosen to became surrogates so we could have crafted a law which was fairer for everyone, because it put the welfare of the unborn child first. I do hope some potential surrogate mother challenges this law in court, because it infringes on her fundamental right to choose for herself what she can and cannot do with her own uterus. What kind of suggestions you would give to regulate surrogacy - did you ever write to the committee members ? It's nice to read that poor women are intelligent too. But I strongly disagree with you. Uneducated women are not wise enough - because they don't really know the risks involved , they don't know how to fight for their rights and they do not know that they are paid very less. This combined with their poor financial situation and their desperateness for money makes them easy targets for exploitation. I think , just because you can write well and argue according to your beliefs and convenience , you can't decrease the graveness of reality - or can you ? ! Just because it's possible to exploit poor women doesn't mean that it's not possible to pass laws which prevent this exploitation ! However, the law starts with the assumption that all doctors are crooked , and out to exploit these poor women. Yes, I am biased , because I am an IVF doctor and want to help infertile couples to have a deeply loved baby. As a doctor, I don't think it's OK to make any one suffer ! And you are being very judgmental when you say that many doctors lack ethics.